Tech Age Kids has developed a set of projects that use the Electroninks Circuit Scribe range to introduce kids and beginners to both electronics and technology innovators from history. 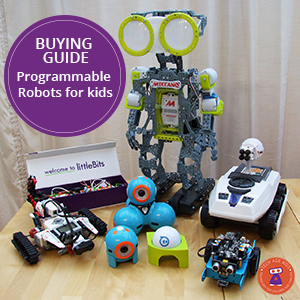 These are both topics that we think it's important for modern kids to learn about and we've had a lot of fun combining them. 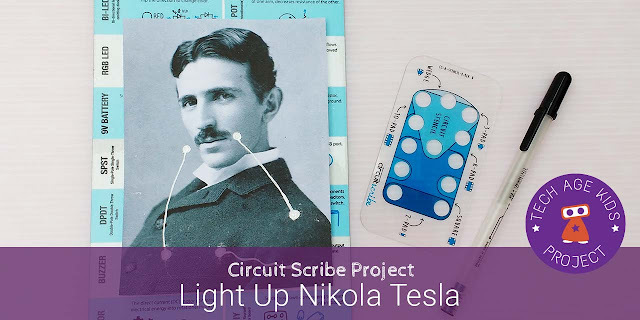 If you're not familiar with Circuit Scribe, then start with our review. Circuit Scribe lends itself very well to projects that can be taken apart and then rebuilt later. Once you have the circuit drawn and tested you can take the parts for use in another project and then pop them back on whenever you want. Connecting up the wires is typically the fiddly time-intensive and error prone part of electronics projects, being able to keep that part in place is really useful. We thought it would be good to have some circuits that we could use to remind ourselves how to use the components. These projects can be made and then kept on a metal notice board along with the components and ready to be swapped in and out when you want to practice some electronics or just have some fun. This was our first project. 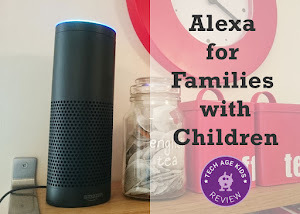 I'd worked through most of the Circuit Scribe workbook with my kids to write a review of the range. I could see promise in creating interactive photos and my son had received some fun gentlemen's accessory magnets for his birthday which were just asking to be incorporated! Tesla's moustache is the switch which completes the circuit to turn on the LED. Reverse the direction of the LED to change from blue to red. 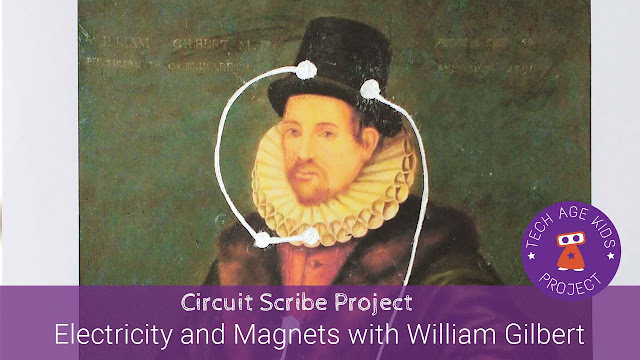 William Gilbert coined the term electricus which is the basis for our modern word electricity and comes from the Latin for amber. Fortuitously there's a picture of Gilbert wearing a top hat. We used the Circuit Scribe LED set to red and green to create an amber pendant for Gilbert. 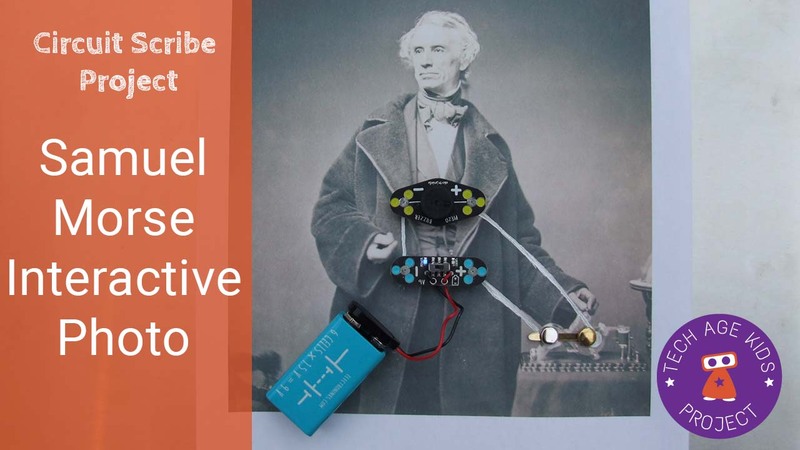 Michael Faraday invented the electric motor. By a happy coincidence he was also a regular bow-tie wearer. 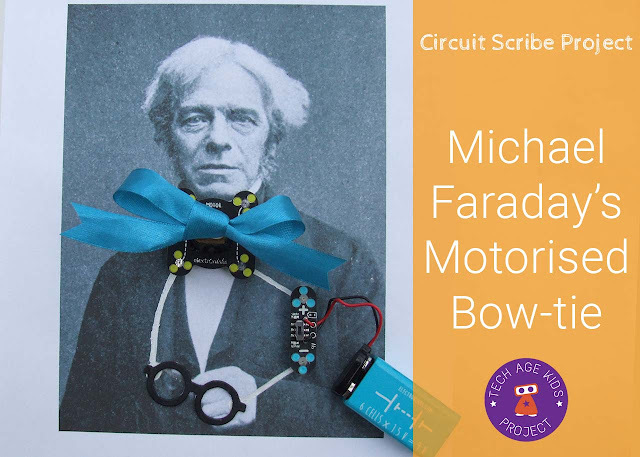 We couldn't resist giving him a motorised bow-tie with the Circuit Scribe motor. Faraday is holding a pair of spectacles in the picture so we used those as a switch. Everyone should know the story of Benjamin Franklin using a kite in a storm to show the relationship between lightning and electricity. Franklin also invented bifocal spectacles. 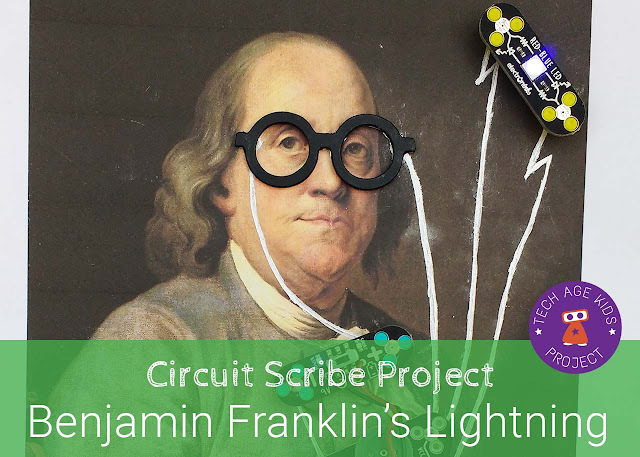 Our Franklin project uses the Circuit Scribe Blinker component to make a blue LED flash. The circuit is activated by adding Franklin's spectacles! 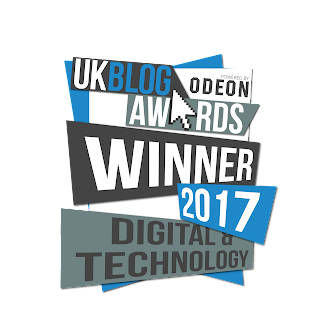 Ada Lovelace saw the potential of programmable computers and the use of computers for art. 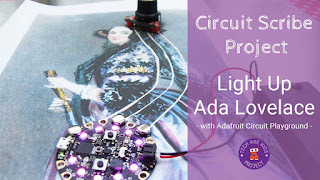 In this project we connect a Circuit Scribe potentiometer to an Adafruit Circuit Playground microcontroller board so that twisting the flower in Ada's hair changes the brightness of the light display on the fan she is holding. We needed a project to show off the Circuit Playground buzzer. Samuel Morse demonstrating his telegraph machine. In this project you can tap a paper fastener to momentarily complete the circuit and make the buzzer emit a short or long beep. See our Youtube playlist with videos of some of the projects in the Tech Innovators Series. Circuit Scribe Kit. 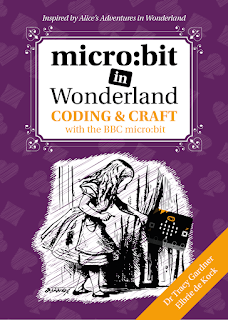 You can make some of the projects with a smaller kit but to make them all you'll need the Ultimate kit. Shaped magnets or magnetic sheets to cut shapes from. Aluminium tape to stick on the back of magnets to make them conductive. There are some techniques that we've learn by putting these projects together. Following these tips will make it easier to get good results quickly. Use good quality photo paper for a more durable result and to use less ink. 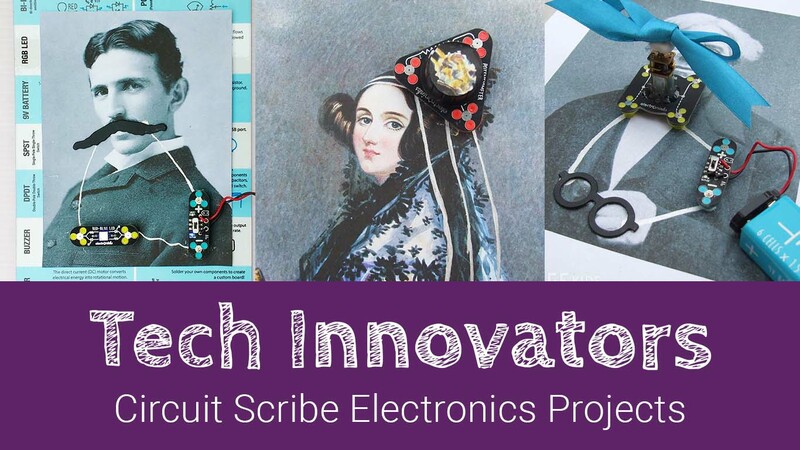 Position the electronic components first to decide where you want them to go then use the Circuit Scribe stencil to create the connection points. 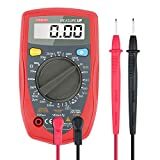 Use a multimeter to test your connections before adding the components this will save time overall and you'll be able to find any areas that need more electronic ink. It's also a great way to learn how to use a multimeter, a useful skill for working with electronics. Give the ink a few seconds to dry before adding the components, you'll avoid smudging and get better results. Circuit Scribe ink does dry quickly compared to other brands but not instantly!